Now is the time to look at the time and you can do so all thanks to this Dumbo Watch. The Disney wrist watch is light blue in color that has a nice wrist band that is decorated with some leaves and flowers and then there is the big watch face that shows Dumbo the flying elephant. 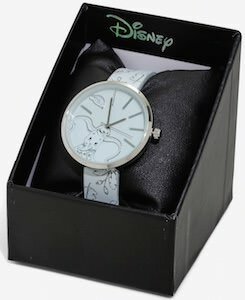 The Dumbo watch has a diameter of 1 1/2 inches and comes in a nice gift box so that you can give this watch as a present for anyone that loves elephants and Disney movies. Now you can always be on time all thanks to the Dumbo wristwatch that also just looks amazing on your wrist. 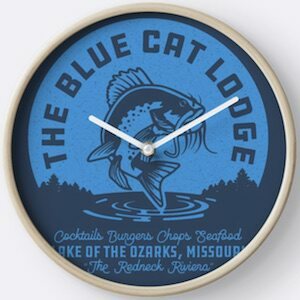 Now there is a The Blue Cat Lodge Wall Clock for everyone that like Ozark and wants to know the time. This Ozark wall clock is about 10 inches in diameter and comes in different colors like wood, black, and white and the hands of the clock even come in more colors. The clock face show the logo of The Blue Cat Lodge with a Cat fish jumping out of the water. This clock runs on a AA battery and it is not included with the clock. So when is Ozark time in your home? this clock will get you ready for your favorite Netflix show. 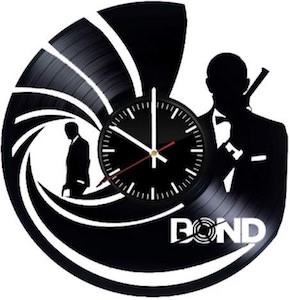 Now fans of 007 can have this amazing James Bond Record Wall Clock. The clock is made from a real vinyl record and it is cut to show typical James Bond things like the the circle part that you can see in every start of a James Bond movie and there is also the famous secret agent holding up his gun. 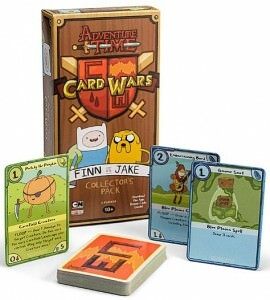 And all that also has a clock in the middle so that you can see what time it is. True fans that love to collect everything 007 should really check this out as it will look great to have this clock on your kitchen wall or maybe even in the 007 room in your home. 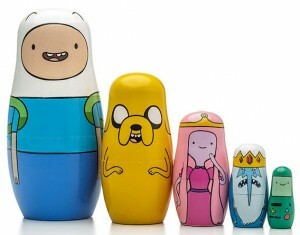 What time is it you wonder, just look at your Adventure Time Watch as it will tell you the time in a cool way. 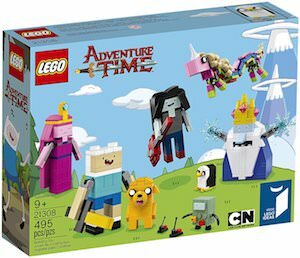 This is not just an Adventure Time wrist watch, it is also the watch that is be used by Deadpool because he does not like to be late. 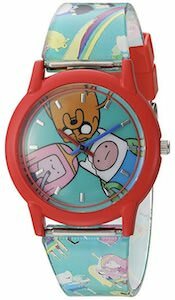 The watch has a red house with a watch face with on it Jake, Finn, and Princess Bubblegum and they are looking at you like they are wondering when we are going to eat. Even the watch band is decorated with the same characters as the watch face but it also includes Lady Rainicorn. Kids or adults can all enjoy this amazing looking watch that has a stainless steel back and a Japanese quartz movement. Cat lovers that love to know time can now get this amazing looking Cheshire Cat wall clock. 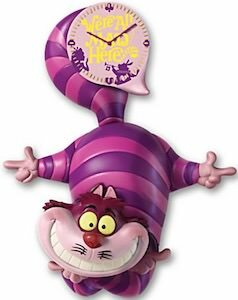 The Alice In Wonderland clock is 14 inches tall and show a clock on the top and from the clock you can see the purple Cheshire Cat hanging down with its big smiling face. And the head of the Cheshire Cat moves with time. The clock face says the famous line “We’re All Mad Here” and it has some other Alice In Wonderland details. And the wall clock has glow in the dark details that you can see by clicking on the picture. The amazing Marvel Studios have captured the Marvel character of Black Panther in a great way on the big screen. 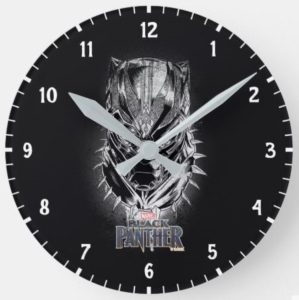 Now show off your love for Black Panther with a center piece for any room, a wall clock. On the front face of this wall clock you will see a detailed sketch image of the head of Black Panther on a black background it really pops off and stands out. Available in 2 round clock sizes of Medium: 8 inch diameter and Large: 10.75 inch diameter. You can also get the Marvel Black Panther clock in a square size that will measure 10.75 inches x 10.75 inches. The hands of the clock come in your choice of black or a light grey. 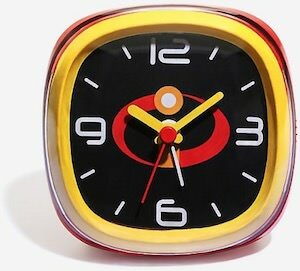 If you like to know superhero time then you have to check out this The Incredibles desk clock. 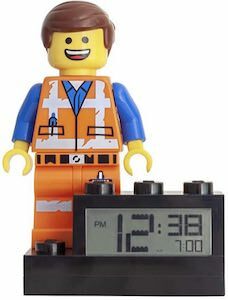 The clock is not just a fun looking desk clock as it is also an alarm clock so that it can wake you up every morning so that you will be on time at school or work. The Incredibles clock is red with a yellow edge and the clock face is black and has The Incredibles logo in the middle and the numbers are a fun font. And the clock also has a big snooze button on top that can also bring light to the dark at night so that you can see the time. 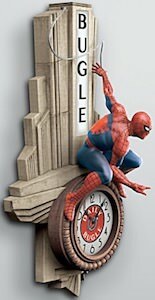 If you like Spider-Man and needs to know the time then you should check out this Spider-Man Daily Bugle wall clock. The wall clock looks like a part of the Daily Bugle building with the clock on it and hanging from the building you can find Spider-Man in 3D sucking out from the clock. The amazing Spider-Man wall clock is 16 inches high 8 1/2 inches wide and it sticks out 6 inches from the wall all thanks to Spider-Man just hanging there. The clock has build in light to that you can turn on and off so even in the dark you can see this amazing clock on your wall.